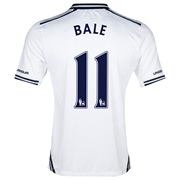 Some fantastic gift ideas and training clothing for every Tottenham fan. Tottenham Hotspur Football Newspaper Book. Tottenham Hotspur: The Ultimate Book - Personalised for you!